Last year when we visited Seattle for our anniversary, I remember sitting in a coffee shop drinking my 10th cup of coffee that day just trying to keep myself going. I was exhausted from intense sightseeing and miserable from eating too much - when we travel, we go hard. 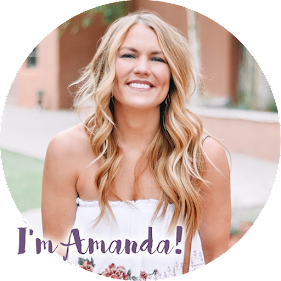 It's great to squeeze as much as possible into a trip, but it leaves you needing a vacation to recover from your vacation. I decided right then and there that for our two-year anniversary, we were taking a relaxing trip. And that's just what we did! 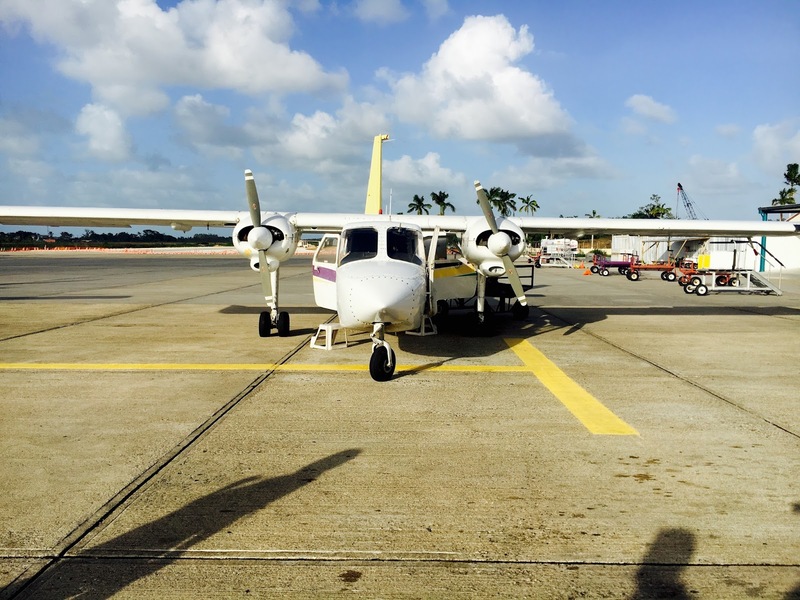 We flew into Belize City and took a tiny puddle jumper plane to the Placencia Peninsula (note: the plane was way less terrifying than I had anticipated). We chose this area because it was supposedly good for people who wanted a beach vacation with easy access to jungle-type activities. 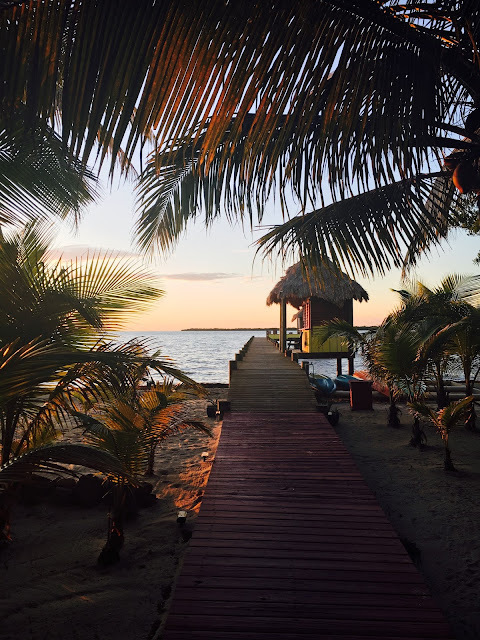 Many of Belize's beaches are on cayes, so in order to take a tour, you have to pay extra to get back to the main land via plane or boat. We ended up not doing any activities, but it was nice to have the option! 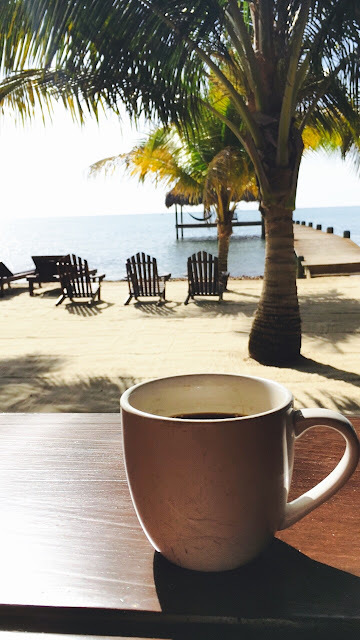 Belize was a wonderful country to visit! Most everyone speaks English and accepts USD, so it was incredibly easy to get around. It felt much safer than Mexico and way cleaner than the Bahamas - we felt perfectly safe riding bikes down the main road or walking around town at night. Most of the peninsula is made up of boutique inns and vacation rentals, as opposed to giant resorts, which made it feel like a little beach town. People ride bikes and golf carts everywhere! Our hotel, Singing Sands Inn, was located on Maya Beach, about six miles north of the town of Placencia. It was the most private and relaxing place I've ever visited! It had more of a boutique hotel or bed and breakfast feel to it - there were only six cabanas and four garden rooms. The owners called us by name and were always out and about walking their dogs around the property. We basically had our own personal chef and bartender the whole trip because there were never more than four other people there. The property at Singing Sands was breathtaking - they take very good care of the grounds! The landscaping was immaculate and lush. The beach was nice, but there was quite a bit of seagrass washed up on shore. The water was perfectly clear, but the sand was dark and rocky, so it didn't put off that turquoise color. Because of that, it looked more like lake water which was semi-dissapointing. The water, however, was very calm - in the mornings there were hardly even waves! 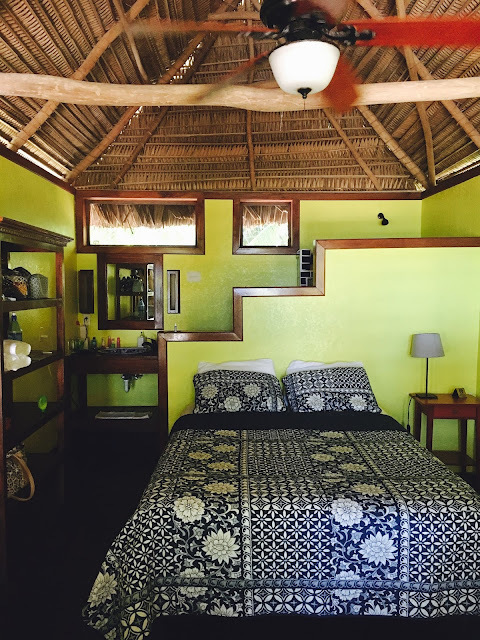 Most of the property was eco-friendly, which gave it an authentic jungle vibe. Our cabana was to-die-for! It was sooooo cute and literally steps from the ocean. I loved to sit on our porch and watch the sunrise. We originally booked a garden suite, but were upgraded when we got there to the ocean front cabana. The only bad part was that the cabanas didn't have air conditioning (the garden suite did, but it wasn't nearly as neat as the cabana). At night, the ocean breeze was strong and we were comfortable enough to sleep, but during the day it was MUGGY. We were constantly sticky - sunscreen barely soaked in, makeup didn't stay on and my hair.....oh, my poor hair. It was a hot mess (literally). In hind site, we probably should have stayed with the air conditioned garden suite, but the cabana was such a fun experience that I'm glad we did it. The food was Singing Sands was delicious - our favorite meals of the trip were all eaten at their Bonefish Grille restaurant! There was a lot of authentic Belizean food on their menu (rice, beans, fry jacks - yum!) but also some Asian-inspired dishes which C loved. 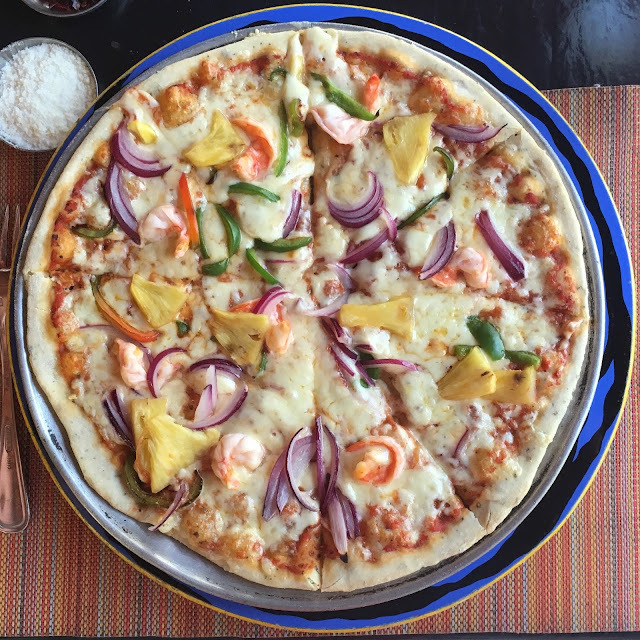 I had fish and/or shrimp at nearly every meal; the Belizean Pizza, sprinkled with pineapple and shrimp, was my absolute favorite. The drinks were also delicious and affordable. If you ever go to Belize, you have to try One Barrel rum - never have I ever tasted a more delicious rum in my life! We road bikes to several places close by for breakfast and lunch and took a cab into the main town of Placencia for dinner, drinks and dessert one night. Tutti Frutti Gelato - tasty enough gelato, and they had air conditioning!!! 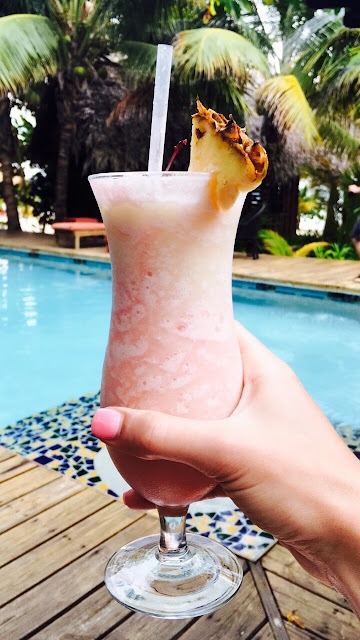 Barefoot Bar - probably 1,000 different beach drinks on their menu! It was fun to sample their concoctions, some of which were locally inspired with fruits I had never heard of (soursop??). In comparison to the all-inclusive trips we've taken (Excellence, Beaches and Sandals), we were much happier this time around. The food and drinks were WAY better quality, the service was quicker, and grounds were quieter and less like a party atmosphere. We basically had a whole resort, beach and pool to ourselves. All things included, it was actually cheaper than those trips, too. The downside to it, though, was that we didn't always have wifi, we actually had to do some planning (where we were eating, how to get there, budgeting etc. ), we didn't have multiple bars and restaurants at our fingertips, and the whole AC thing.... but those things forced us to relax harder and enjoy more. I would definitely recommend Singing Sands Inn if you want to relax and feel like you're on a deserted island, and I would for sure go back to Belize any day! What other tropical locations should I add to my travel list? St. Lucia has always been at the top but let's be real here -- I'm happy on any beach! Edit: Be sure to bring bug spray with you! A week after returning and I'm still itching quarter sized mosquito bites. Pretty sure I have Zika virus now.......?